Serendipity is Sweet: Simply Things Sunday - Tutu Sweet! 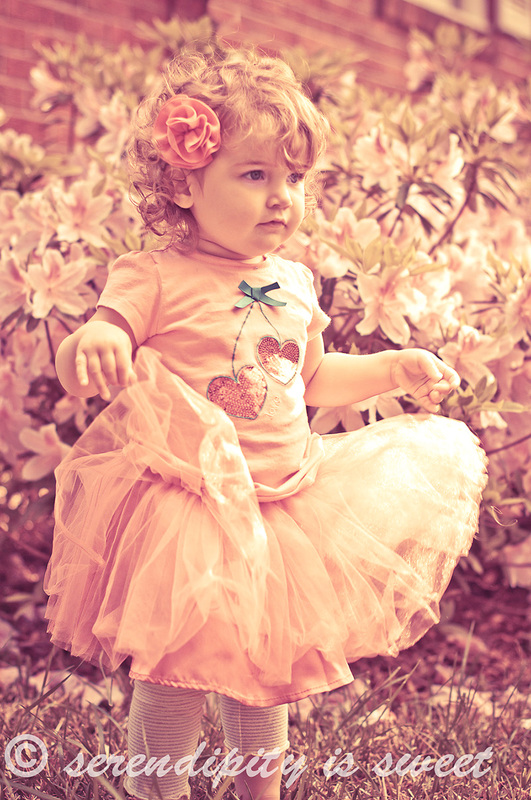 Little Miss received a tutu from my sweet sister last Christmas. We tried it on her and she hated it. Every time we put it on she would flop down on the floor and melt down into tears. We'd act silly, play with it, put it on a doll, put it on our heads. She still hated it. 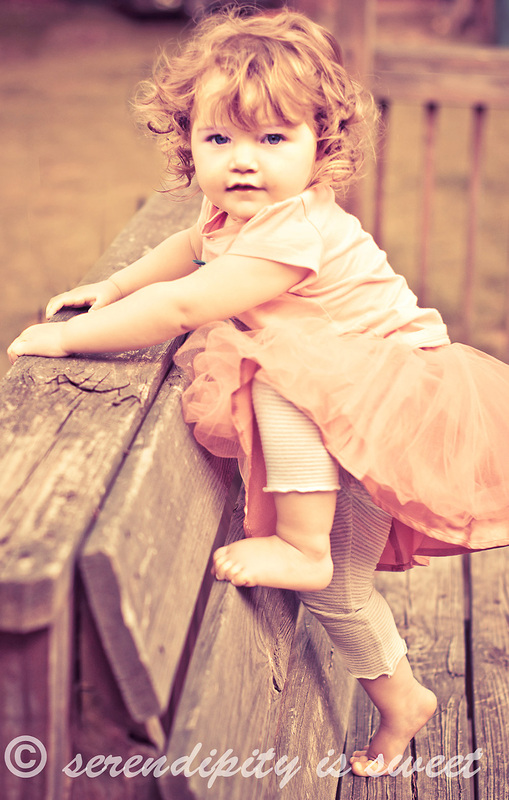 So my simple thing this Sunday is sweet little girls in tutus, who let their mommy take their picture. I'm simply thankful for capturing the moment. And, I'm thankful you stopped by! Have a beautiful Sunday!! So beautiful, I heart the vintage wash! Aaawww, that is so sweet! I am sure she will warm up to it more often...just has to be on her terms! The softness and pink hues in these photos really capture the girliness of these photos! Loved it! Those are amazing pics. Congrats! Sweet, sweet photos. I love the pink tint... perfect! They are so funny like that. I love the tutu!!!!! My son did that with a leather jacket my mom bought him when he was like 2. Absolutely refused to wear it & one of the rare times he actually threw a tantrum over it. We would have just made him deal- but you know grandparents, She ran right out & bought him something he did like. Sort of irked me- but I couldn't stop her. that is too precious for words!!! My gracious...what a cutie!!! She is just the cutest! I'm glad she got over the hatred! She is so adorable! Love the shots! That is the sweetest thing! I have a little girl and I'm hoping that when she gets older she doesn't grow out of loving tutus. Beautiful! The bottom left and bottom middle are my faves. Love the little bare feet on the wood. So sweet! So sweet and great photos. So glad you shared. She's precious! I love her curls... I think my favorite shot is the one of her climbing. It reminds me of my daughter. These are precious! Love the edit! oh my goodness! 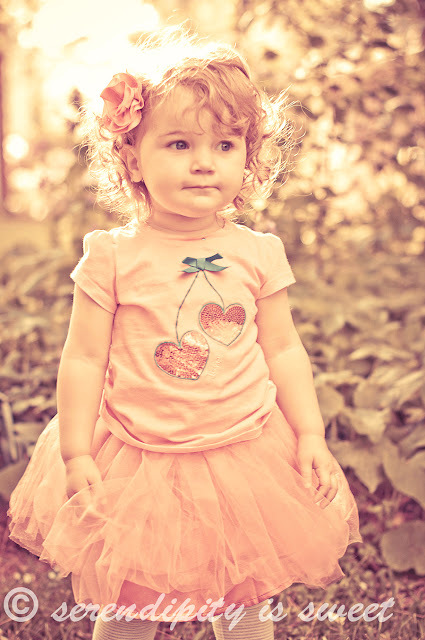 cutest thing ever....I am in love with her sweet curls! thanks for sharing your photos with us Melissa! :) Enjoy your week!